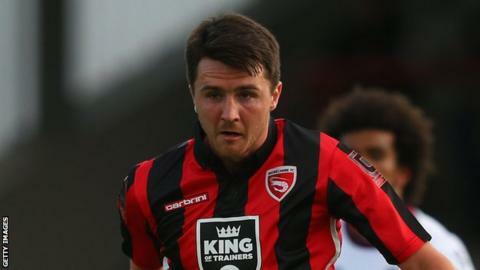 Morecambe captain Peter Murphy will be out for 12 weeks after damaging knee ligaments in Saturday's opening League Two game at Hartlepool. The 25-year-old midfielder joined the Shrimps from Wycombe this summer. But in the eighth minute of his competitive debut at Victoria Park he suffered a grade three tear of his medial collateral ligament in his right knee. Morecambe expect Murphy to be back in action around mid-November.